Amenities galore! Rare, 2 Master Suites, double sized condo all on one floor. Only 2 other condos are close to this size. Arrive via the covered outside entry with guest parking. Enter the secure front door to the spacious formal entry. Take the elevator or staircase to 2nd floor. Walk through the beautiful door and you are looking at this condo. No long walks needed! Once inside, you'll walk through the formal entry to the informal living room to the show-stopping, handsome living room. It is sure to delight. It has custom wood paneling, fireplace, built-ins, wet bar, parquet floors and access to the glorious courtyard views via the beautiful 4 season sunporch. This condo is spacious with 4 bedrooms, and has 2 master bedroom suites at opposite ends and a lovely dining room.Imagine this condo with your beautiful furniture. The views from the expansive four-season balcony are of mature trees, elegant landscaping and meandering walkways. The common areas include indoor heated pool, fitness, sauna, locker rooms, party room, billiard room hobby room, courtyards, putting green, outside grill, elegant landscaping, walking paths and so much more. The lower level secure garage is well lit, spacious, has climate control, and an elevator to all 3 levels. This property has a very large storage room in the garage with 2 reserved car spaces next to it. 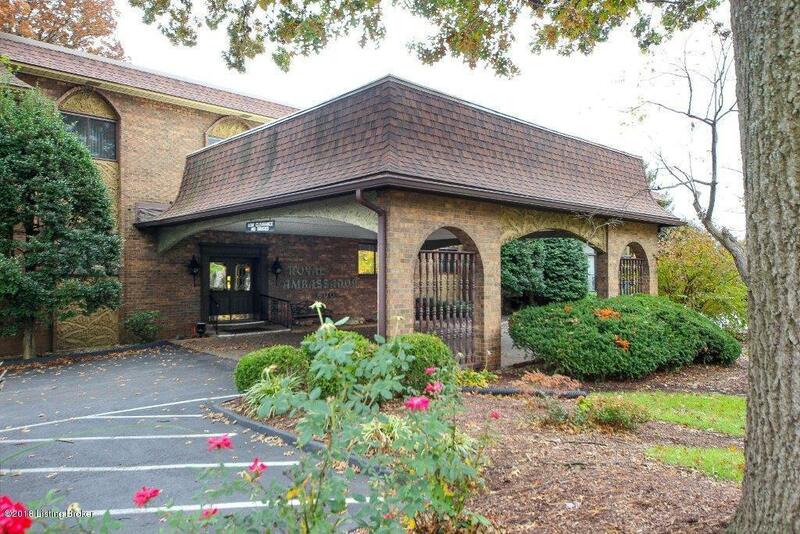 Close to expressways, Bellarmine College, Bardstown Road, Restaurants, Shopping Centers, Parks and Airport. Please come by for your private showing while the trees are beautiful!